Congratulations on your growing business! First thing’s first: You need a place to store data about your customers. Storing this data will help you to track sales and activities, keep in touch with your customers, and generate new customers through leads. Being able to input contacts and accounts into Salesforce helps to build a picture of the types of customers you have, what products they are buying, and what products they have yet to purchase. The all-important white space. This customer and product insight can help you develop suites of products so that you can provide solutions for your customers, rather than just solving for one piece of their business needs. That means you can help current and future customers solve their business problems, and become a force in your industry. Tracking sales is great, but tracking your sales force is even better! (See what we did there?) You can track activities related to accounts and contacts in the form of phone calls and emails. There are easy-to-use features for your sales teams to accomplish this, and one of the best ways to ensure usage is by setting aside time to learn about the product and gamifying it. Tracking activities becomes a way to check in on what your sales reps are doing, and create a culture of friendly competition and accountability. The added bonus for you is learning how effective your sales team is at reaching out to your customers, upselling, and creating new leads. Reaching out to customers and leads has never been easier using Salesforce. You can mass email customers and create Campaigns, just to name two powerful features. Who has the time to send out hundreds of individual emails? Create templates and choose which contacts to email blast. Create Campaigns where you can load up leads or choose current customers to upsell, and track responses. You can even convert leads into accounts, and create opportunities from leads and existing customers. Save yourself time and energy, and provide professional communication for more wins! You can capture your customer data and your product data, and even get your sales teams to track their activities… but it is meaningless if you don’t know how to analyze the data. As an answer, Salesforce has an impressive amount of reporting capabilities, and almost every field can provide reporting. Along with standard reports, you can create custom reports. All of this combined gives you visibility to see exactly what is happening with customers, determine if your sales team is meeting their goals and plan for future sales. And guess what? You can do it using pictures. You can also use reports to determine where leads are coming from and how you can better market your company. 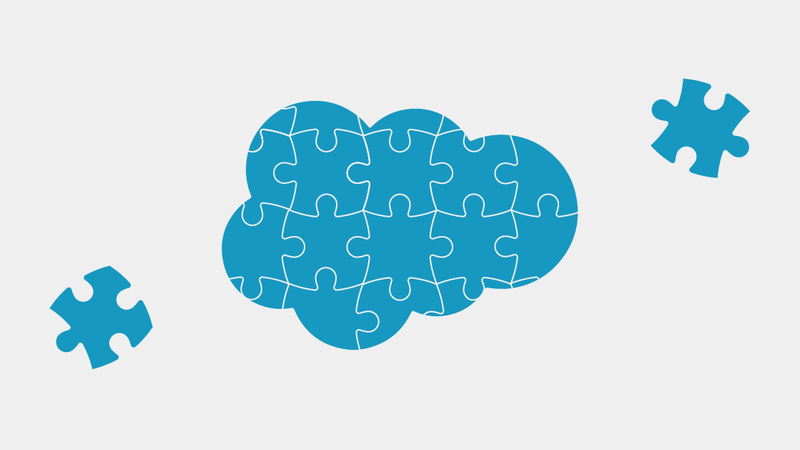 Using Salesforce to develop your CRM strategy provides your company the ability to grow in a scalable way. Being able to capture customer information, opportunities, sales activities, mass communicate, create campaigns, and report on it all becomes your most powerful asset. Knowledge about your customers, the products they use, and what your sales team does with that insight gives you the ability to adapt and grow with your customers. Get ready to get noticed and talked about as a powerhouse in your industry! What Are the Concerns With AI? Are Your S3 Buckets Leaking? Who is Responsible for Quality Data?